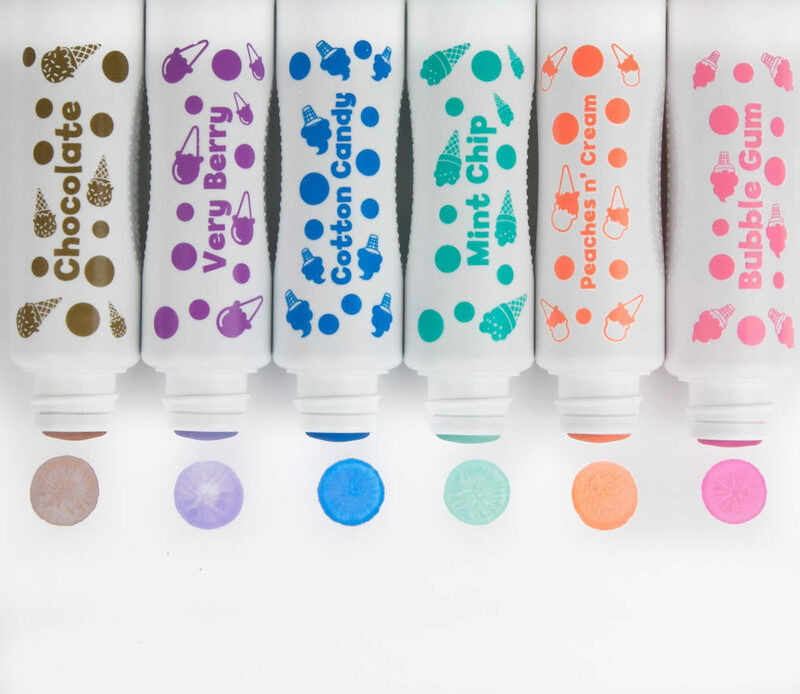 SPECIAL NEW FORMULA: Each dot marker not only smells like your favorite ice cream flavors, but the colors come out looking like creamy ice cream. 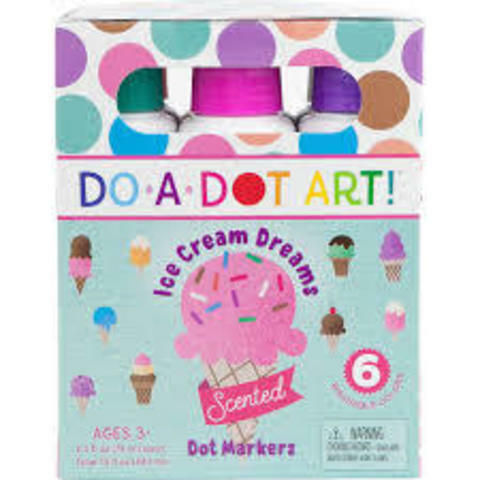 With generous 2.5 ounce bottles Do-A-Dot makers have MORE PAINT per bottle than other dot a dot markers. Just twist off the cap and let the creativity begin. NO SPILL: Just like no spill cups for clean painting, Do A Dot Art markers make painting clean and easy. Just twist off the cap and let the fun begin! 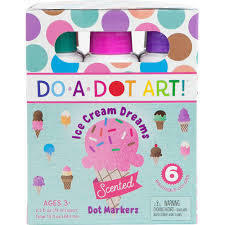 LARGE DAUBER TIP: Do A Dot Art! 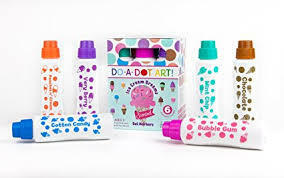 markers have a PATENTED large sponge tip dauber engineered to be mess free, never dry out, and make a perfect dot every time. children love mixing, blending and layering colors to create their own masterpieces!